Last week, I attended the Worldwide Partner Conference and I came away with a few overall impressions. First, I enjoyed spending significant face-to-face time with our friends in the industry who have continued to drive success during difficult economic times. Second, it’s incredible to see how the market for Infrastructure solutions continues to rapidly evolve. I hope at WPC partners were able to see an unprecedented wave of Microsoft innovation that will transform the way customers can drive their business. Third, I hope our channel partners took away that partners have been and will continue to be critical to Microsoft’s Core Infrastructure strategy. Q: You’re telling me to make a bigger investment in core infrastructure, but how do I win in this down economy? A: I don’t want to overstate this, but I do believe based on recent research there are good opportunities to solidify and grow share in this current economic climate. Many leading analysts believe that while some customers are deferring IT investments, demand for server infrastructure will continue to improve in the second half of the year as customers begin to rebuild their IT capabilities in advance of a meaningful economic recovery in 2010. In addition, a recent IDC study shows partners who bet heavily on Microsoft find greater success. Partners in this study with 2 or more Microsoft Competencies reported 68% larger deal sizes than their peers and 28% more revenue per employee. That’s clear evidence that partners can invest to win both share and revenue! Q: How mature is the Microsoft technology stack? What’s next on the roadmap? A: Our server infrastructure solutions are very mature. For some time now we have been working towards a vision called Dynamic IT, where we seek to help customers build increasingly integrated and dynamic systems that will improve business success. Coupled with that, we designed the Core Infra optimization model to help customers evaluate their IT needs, optimize current systems and design a path toward a more dynamic environment. One thing we’ve learned along the way is IT still has too many manual processes. So we continue to make many investments to help customers move to an increasingly automated and dynamic infrastructure. Our next step is to help IT change the way infrastructure services are delivered to users. Our goal? Helping IT become more of a ‘pool of resources’ for customers – either delivering impactful solutions on-premise or moving some of them to the cloud. Q: We loved to see the SMB customer example in your keynote. What are you doing for SMB? A: Over the years, we have seen varying levels of Microsoft marketing focus on SMB, but we in Server and Tools have remained committed to building great software for small and medium businesses (whether that be our Windows Server offerings or broader solutions like Windows Small Business Server or Windows Essential Business Server). We plan to increase our SMB marketing emphasis in FY10 by partnering with Birger Steen, the new SMB leader for SMS&P. In the meantime, we encourage you to check out the services rebate for SMBs (www.serveroffer.com) and to leverage other helpful marketing materials we’ll be publishing for FY10. 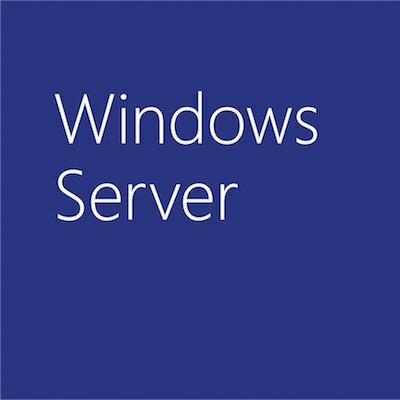 Q: What’s happening with the Windows 7 and Windows Server 2008 R2 Launch? A: We are still working out details for the Windows 7 and Windows Server 2008 R2 launches and we will soon communicate more about how to get connected. We know this is important for you to understand and we believe there will be some amazing opportunities for you as partners to help customers breakthrough in areas like virtualization and network access and branch computing. Take the time in the coming months to learn more about Windows 7 and Windows Server 2008 R2. In conclusion, I want to reiterate partners are core to our strategy and we’re eager to help you win server infrastructure opportunities. I invite you to find out more about how to build or grow an infrastructure business at http://www.infrastructurepracticebuilder.com/ this is also where you’ll find pointers to marketing materials like the widgets I showed during my keynote session at WPC. It’s been a great week and I appreciate all the time we got to spend together. Thanks for your continued support and here’s to a great FY10 selling year!